Ayurveda believes that all healing begins with the digestive tract. A healthy digestive system is the cornerstone of our well-being. 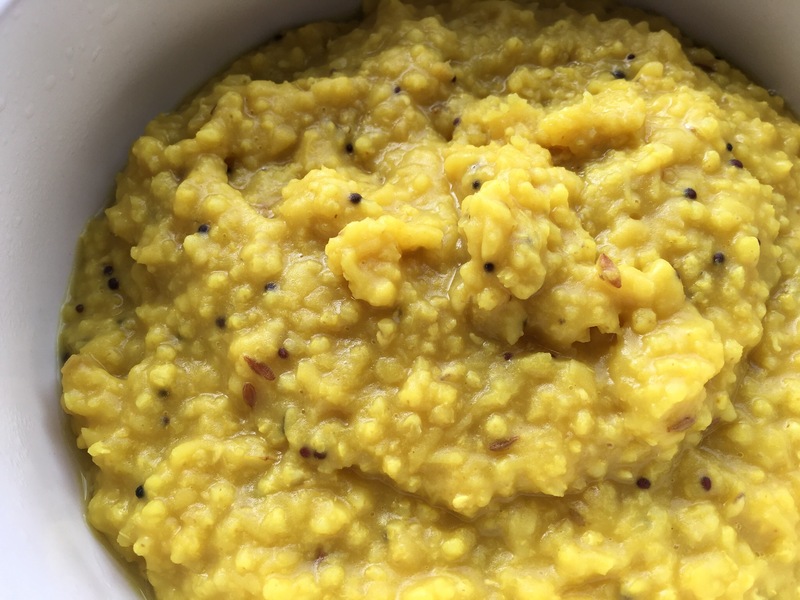 Kitchari is a used for cleansing and detoxifying the body. Cook the rice and dal together with 1.5 cup of water approximately until soften. In a wok, heat up the ghee and saute the mustard seeds until they cackle then add in the cumin and minced ginger. Once the spices are done, add them to the cooked rice and dal. Add in the salt according to your taste. Enjoy the simple porridge. Can be taken as breakfast or when you are under the weather. In fact, when you need to give your machine (digestive system) a rest, it is a really easy to prepare meal.